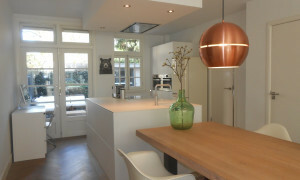 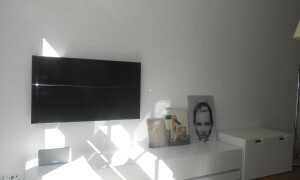 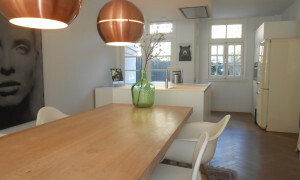 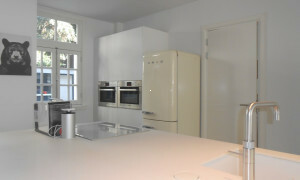 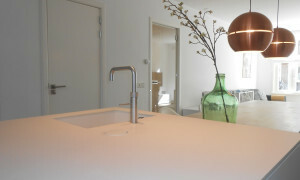 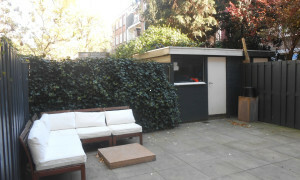 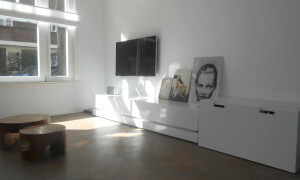 In the beloved south area of Amsterdam, you will find this modern and spacious fully furnished apartment. 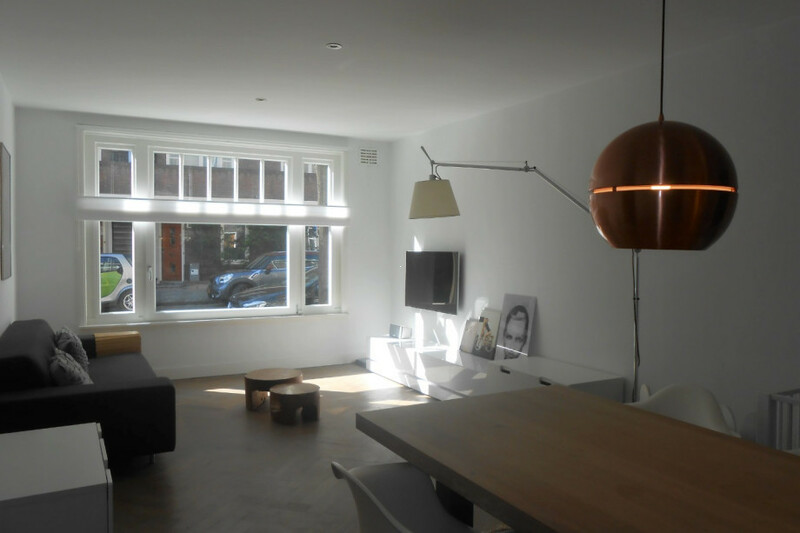 When you enter this apartment the first thing you see is the herringbone floor that runs through the entire apartment. 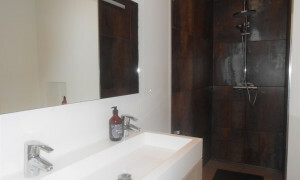 In the hallway you will find the seperate toilet. 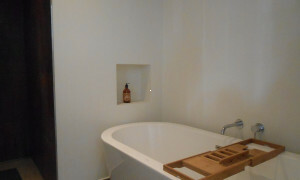 Also a good size bathroom which contains a bathtub and a walk in shower. 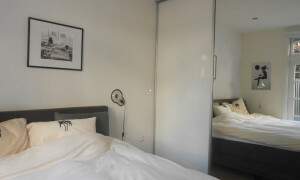 On the other side there are two bedrooms. 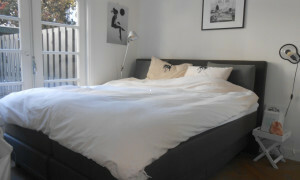 One master bedroom which gives you acces to the garden through french doors. 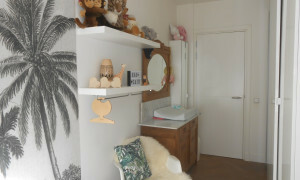 Then the second bedroom that is used as a childsroom right now, but can also be usefull as wardrobe or guestroom. 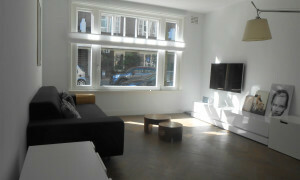 At the end of the hallway you will enter the livingroom, which is spacious and with lots of natural light coming in. 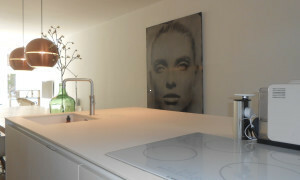 There is a open fully fitted kitchen island on your right. 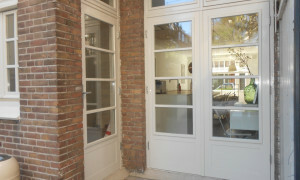 From here you have main acces towards the garden again through french doors, which during summer you can open them up and enlarge your living area. Then the highlight of this apartment must be the garden. 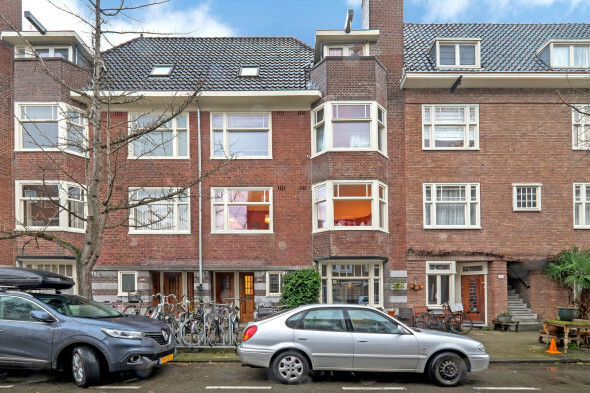 This apartment is situated in the south, in a quiet street but only a stonesthrow away from shops and restaurants but also nearby a big parc and the PIJP area.